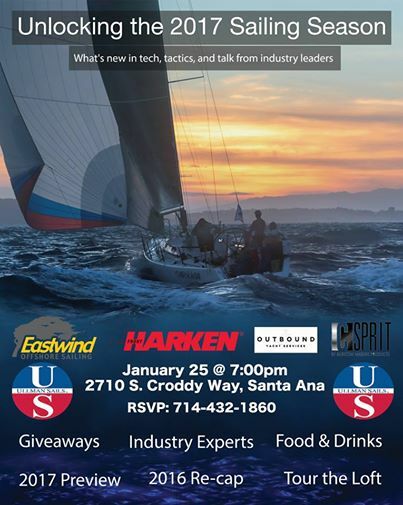 We are starting off the year with a great event on January 25 called “Unlocking the 2017 Sailing Season!” If you are cruising, racing, or One-Design sailing then this event is for you! We have industry experts from Harken, Outbound Yacht Services, Inc., C Sprit and EOS Offshore Sailing. The event is FREE and there will be plenty of giveaways and food/drink provided.